Cycling has of late become a fad among the numerous things to do in Mumbai with countless Mumbaikars spending big bucks on good cycles. It is more about a healthier lifestyle than showing off. But a bicycle ride can get boring and annoying if the road ahead is dotted with red brake lights and countless potholes. For a refreshing and fulfilled ride, one needs to hit the road that is devoid of cars and bumps; roads like the ones we’ve listed below. 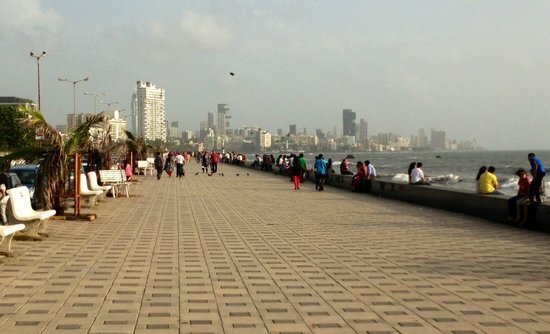 Keep reading and you’ll definitely make a list of top 10 places to cycle in Mumbai. Bonus point: Some of these roads come with amazing views. 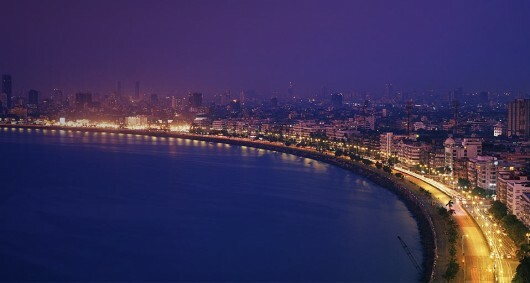 The one that tops the list is the scenic “Queen’s Necklace”. The long boulevard stretched along the edge of the sea in the form of a necklace serves as an ideal spot for cyclists. Be it early morning or late evening, a bicycle ride along Marine Drive guarantees to leave you with that much needed peace of mind. This approximate four-kilometre-long loop is bombarded by frequent cyclists and runners from different pockets of the city. Make your way here early in the morning to catch some fresh air and cool sea breeze. A couple of laps on this smooth stretch and you’ll keep coming back every morning for more. Equally beautiful as the other waterfront stretches in the city, Carter Road is another spot where plenty of avid riders get together and pedal their stress out under the calm weather and bump-free roads. You can also ride up Pali Hill for a good joy ride before starting your day. This list will definitely be incomplete without the mention of the smooth roads of Bandra Kurla Complex. This part of the city is a financial hub, so make sure you get there as early as possible or late at night to make the most of this amazing stretch. These flat roads built on marshy land on the north side of ‘Mahim Creek’ is one of the perfect places to cycle in Mumbai to let go of your stress. If you are someone who loves to push your body to the limit, make sure to ride over the city’s famous Western Express highway. The long stretch and many bridges definitely give you a good workout before your day begins. Just make sure to follow traffic rules and stay alert at all times. Unlike the Western Express highway, the Eastern Express highway offers a flat strip of tarmac that takes you past civilization and beautiful patches of nature. Make sure to carry your own water supply and puncture kits to avert those emergency situations because the highway is long and puncture repair shops are far from each other. As you move north and out of the city, the roads get better and the civilisation gets scarce. With no rash bikers or cars to dodge, you can stick to the left of the road and pedal over the rolling terrain. 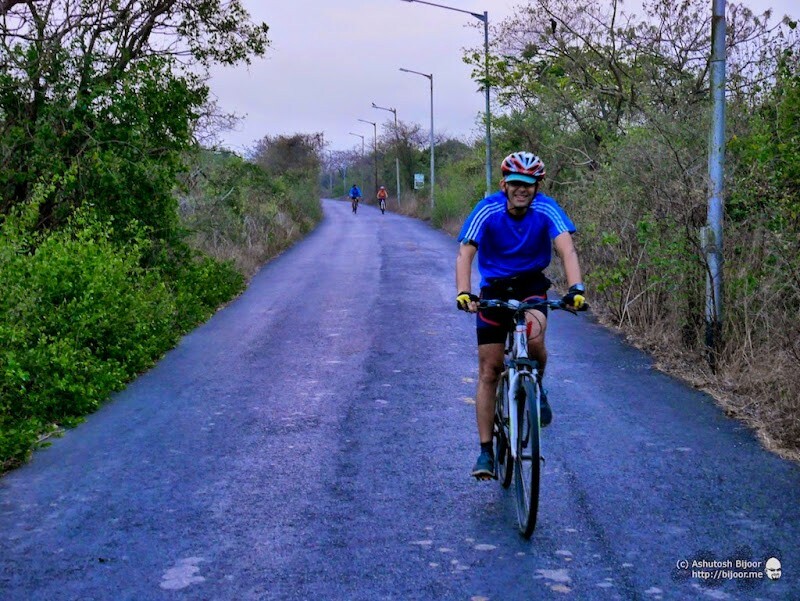 If you are serious about cycling and do not want to travel too far for a better road, Vasai-Virar can be the ideal spot to test your mental endurance, strength and stamina. Situated in the district of Thane, Yeoor can get your adrenaline pumping as you ride over smooth but steep slopes and beautiful curves. Besides the climb, Yeoor can also offer a good venue for off-roading and weekend treks. If you love cycling up slopes and descending down in speed, make your way to the famous Ghodbunder Road. Once you are done, you can always stop next to the creek and sip a warm cup of ‘cutting chai.’ If you want to make a weekend getaway out of a cycling trip, you could always go visit the Ghodbunder Road. While riding on this route might not be possible on a regular day, Gorai and Manori are the most enjoyable routes that offer good roads and excellent scenery that instills your soul with incessant energy. The empty roads surrounded by mangroves on either side can be quite blissful to ride through. Also, make sure to stop by the beach and indulge in some delicious egg dishes and chai. 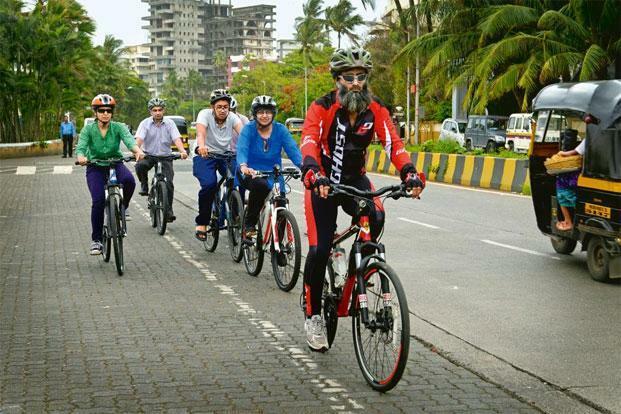 With so many places to cycle in Mumbai, cyclists can not only get in shape, but also explore the different parts of the city. Wearing your cycling gear and following traffic rules is what that makes every ride a joy ride. If you want to explore different parts of the city on your cycle, Keep reading & you’ll definitely make a list of places to cycle in Mumbai. Abhishek Tarfe, a man always on the move! A cycling enthusiast, a content writer by profession and a dreamer by nature. Abhishek always has something different up his sleeve! Really good compilation of best cycling areas in Mumbai. Thomas Cook India Travel Blog Copyright © 2019. © COPYRIGHT THOMASCOOK 2018. ALL RIGHTS RESERVED.